The 2013 Astoria Park Shore Fest is in the midst of a fundraising campaign, looking to raise about $4,300. They can use volunteer help, too! 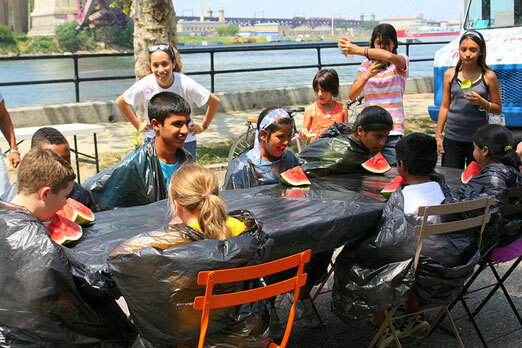 Here at We Heart Astoria, we love the Astoria Park Shore Fest! We love it so much that we’re helping with a bit of the organizing, but more on that later. This is a fantastic event – now in its fifth year – that happens on three consecutive Sundays in August, right on Shore Blvd adjacent to Astoria Park. The street is closed for the afternoon and is open to all non-motorized vehicles… and pedestrians! There’s always lots of kids hanging out, too. The Astoria Park Shore Fest includes extensive coordination with Green Shores NYC, Partnership for Parks and the Department of Transportation. It will include educational activities, live music, fitness programs and food-tastings with various neighborhood restaurants. Additional support is coming from the NYC Dept of Parks and Recreation, Build it Green NYC, and the Department of Environmental Protection, Water on the Go! All events are FREE so come out and join the fun! Right now the Shore Fest is in the middle of raising a good chunk of change and needs your help. They are working with ioby to raise $4,367 for the festival – the budget is spelled out here. It’s all very practical stuff; the organizers are volunteers themselves and are giving their time to this project. I mentioned earlier the We Heart Astoria is involved. 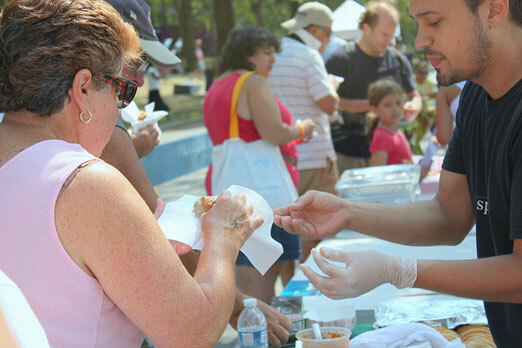 We’re helping in the food realm, so get ready for a fun food tasting the afternoon of August 4th, the first of the three days of Shore Fest. We’re even mentioned on the ioby page! This year, two of the communites brightest stars, We Heart Astoria and Build It Green, will bring their unique sensibilities to the event. August 4th is We Heart Astoria Food Fest, August 11 is Build it Green Day. 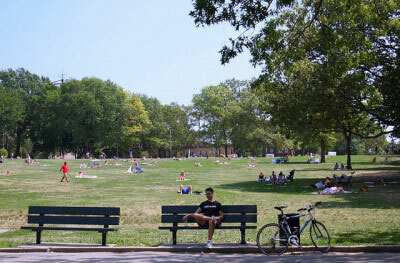 They join valued partners Green Shores NYC and the NY City Parks and Recreation Department. Shore Fest is an NYC Dept. of Transportation Sponsored Temporary Pedestrian Street. We encourage you to donate to this amazing community event – no donation is too small. Corporate and company donations are also welcome. Here are some photos from 2010’s Shore Fest to give you an idea of what happens during the event. And we hope to see you there on one of the days of Shore Fest this summer!